In 1917, moved by the total destruction he saw around him after the battle of Vimy Ridge, Lt. Leslie Miller gathered up a handful of acorns from a fallen English oak tree and sent them home to be planted on his family’s farm in Scarborough, Ont. A century later, descendants of those “Vimy Oaks” — some of which still thrive on the grounds of what is today the Scarborough Chinese Baptist Church — have been returned to the soil of Vimy, France, as part of a new commemorative project marking both the centenary of the decisive battle and the end of the First World War. The Vimy Foundation Centennial Park, which will open to the public Nov. 9 as part of official Armistice 100 commemorations, is intended to be a space for quiet contemplation and dialogue. 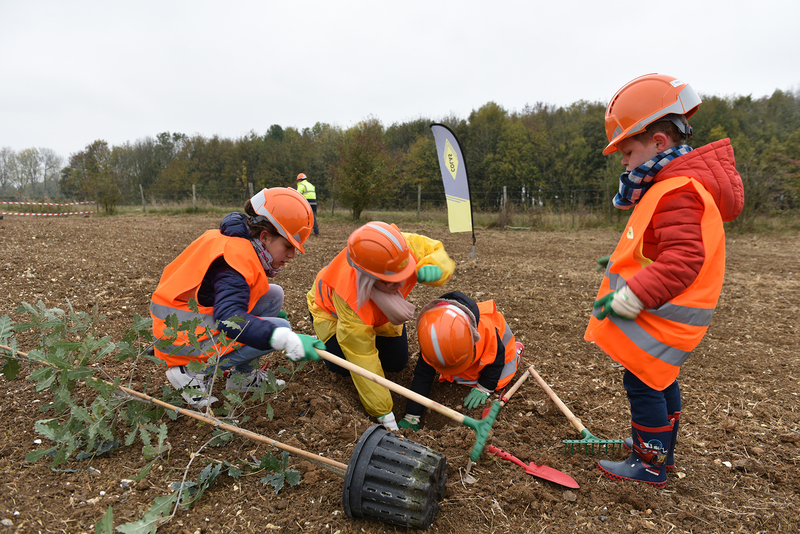 Set on 1.6 hectares of former farmland adjacent to the Canadian National Vimy Memorial, the park features 100 oaks planted in four concentric circles, representing the four Canadian divisions that fought together for the first time at Vimy. 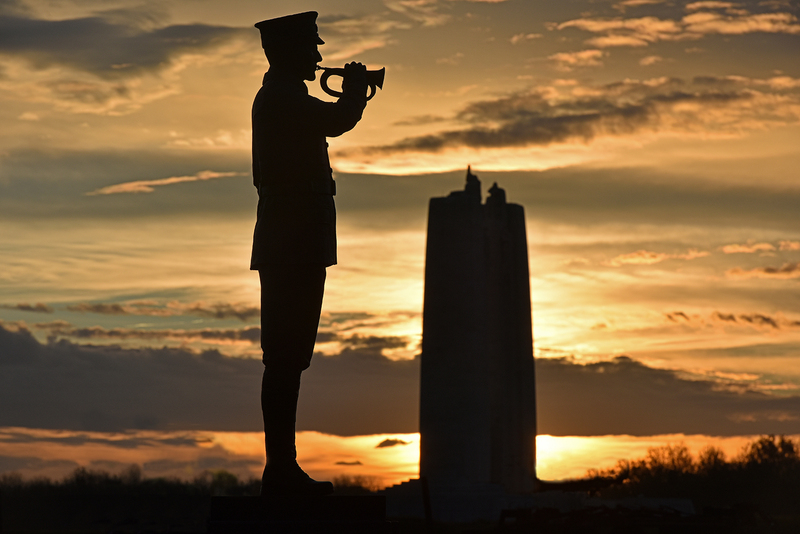 Paths and benches throughout provide a view to the Vimy monument, while a sculpture of a bugler, designed by Canadian artist Marlene Hilton Moore, calls to its twin at CFB Borden near Barrie, Ont., where many of the soldiers who fought at Vimy trained. 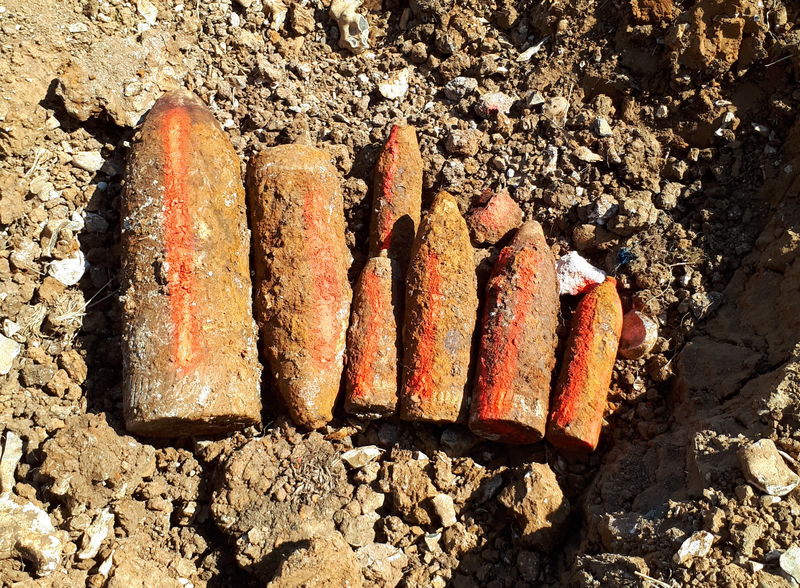 Because the property was part of the Vimy battlefield, the land required extensive excavation to remove unexploded ordnance and other metal debris. The contractors also uncovered human remains. When that happens, Diamond says, all work ceases, and the authorities are notified so the remains can be respectfully removed for identification (if possible) and reburial in a military graveyard. Following the opening of the park on Nov. 9, visitors and dignitaries will take part in a sunset ceremony at the Canadian National Vimy Memorial, placing candles around the monument. It’s a symbolic way to mark the end of four years of commemorative activities around the centenary of the First World War, Diamond says, but also a time to begin thinking about how to keep the stories of the war alive when the sun rises on Nov. 12. “The challenge is always that our younger generations learn about this and keep talking about it,” he says. Diamond hopes the park will spark those discussions. For more information or to make a donation to the Vimy Foundation Centennial Park, visit the Vimy Foundation website.